Throughout the year I encourage parents and grandparents to share unique experiences and mini adventures with their young companions and more times than not my suggestions and recommendations have to do with nurturing citizens of the world. 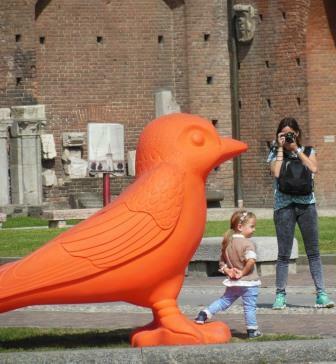 Milan offers unexpected surprises and contrasts to engage all ages in celebrating life on the planet. The sharing part is key because children learn what they live and ultimately live what they learn. I could wax on about the raising citizens of the world, one of my favorite topics, but not in a family travel blog. My point, as it relates to family travel is that when children share positive cultural experiences with adults whom they love and respect the result can only be good for everyone. And with each positive experience the nurturing of a young citizen of the world evolves. Hence I continue to post terrific ways for families to discover the world with or without passports. I believe the best cultural experiences combine music, dance, and cuisine and offer ways to participate in activities. At the top of my list Chinese New Year celebrations which span the country from Zoominations – Chinese Lantern Festival of Lights in Tampa to Chicago’s urban celebrations and a string of events at Westfield shopping centers in California. However possibilities punctuate the calendar year. Each Spring Dollywood in Pigeon Forge, Tennessee hosts Festival of Nations and all year long the Irish Music School of Chicago hosts family-friendly events. Concordia Language Villages in Bemidji, Minnesota conducts cross-cultural programs for multiple generations. Attending the Ceilidh presented by College of Piping in Summerside, PEI cannot be beat and the immersive programs at Ukrainian Cultural Heritage Village in Alberta are always lively and inspiring. The celebrations, activities and locations which provide families with windows to the world enrich lives and nurture citizens of the world while creating memories to be cherished. For family fun my list is endless and includes kite flying ceremonies, tapas tasting, big birds in Milan, and mariachi music as well as tea ceremonies, dumpling making, and lefsa. I do not have a favorite window. Ciao for now. Nancy Nelson-Duac Curator of the Good Stuff for Family Travel Files.